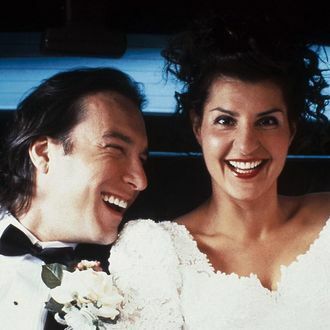 There’s a sequel to My Big Fat Greek Wedding in the works, star and writer Nia Vardalos announced on Twitter. John Corbett and the rest of the cast are onboard to return, though there’s no word yet on who will direct. “The plot of the new script involves the reveal of a family secret and a new wedding, described as bigger and fatter, that brings the Greek clan together again,” according to THR. Those of us with long memories for suffering might recall the 2003 TV show My Big Fat Greek Life, which aired seven episodes on CBS, but why dwell in the past? Another My Big Fat Greek Wedding, you guys! Opa.